This process is recommended for concrete driveways, pathways and patios and it’s best to clean concrete, pavers, brick and external tiles and surface cleaning. 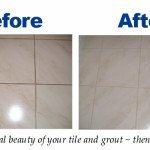 Fresh Tile Cleaning is one of the best tile cleaners, we’re known for our best in class services. 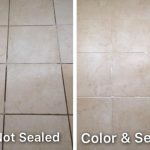 We own the best tools and quality equipment for high-pressure cleaning, our experts are trained in every manner to do all kind of task related to floor cleaning. High-Pressure Cleaning is exclusively designed to do residential, commercial, driveway, walkway, patio, pool surrounds, fences and other hard surface areas in a house. Normal high pressure cleaning effectively removes all the unnecessary things, but to get the best results, the balance of pressurised water and chemical is important. Water is limited to clean only the hard surface. The combination of water and chemical makes the cleaning more effective, also water damages the surface if used in high volume, chemical reduces the use of water. However, the biodegradable chemical can be used as an alternative in some places. What is The need for High- Pressure Cleaning? The main objective of high-pressure cleaning is to clear all the algae, mould, mildew from the core. This will make your floor cleaner for longer, directly basting away the top layer of a surface with high-pressure cleaner will kill all the living spores to stop them from re-infesting. Hiring professionals for high-pressure cleaning the floor is the best option because all the surface cannot be treated in the same manner. Each contaminant and stain is different and requires a different approach to get cleaned completely. Professionals have an understanding of both material composition and the nature of the surface stone. Therefore, it’s better if they handle the job while using their expertise. The Process Involves Three Major Steps. Step 1: – We use the biodegradable chemical to loosen the bond between hard surface moulds, mildew and algae. Step 2: – In order to make the cleaning more effective we scrub the floor manually while using the solutions. Step 3: – Step 3 is the final step, therefore, a thorough and comprehensive cleaning is done. High-pressure cleaning makes the floor all cleaned and new like. 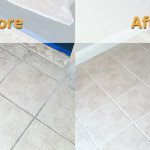 Fresh Tile Cleaning is one of the best floor cleaners, we have managed to build a reputation in the floor cleaning industry. We offer a vast range of services to provide our clients with the best of our services. Our experts are trained for every challenge, we own the best equipment and cleaning solution to achieve the maximum results. If you’re searching for high-pressure cleaning services, then reach out to us, call us on our toll-free number for bookings. Our number is 1800 233 141.